There has been a lot of media attention lately on the condition known as hoarding. We all know someone that we may describe as a “pack rat” and they do not like to throw things away or feel like the items may be necessary later on, hoarding is something different. While a person who, for example, grew up in the depression era may refuse to throw things away because they learned growing up that every little thing may literally be needed later on or could be sold for money, hoarding is an anxiety based condition that will not allow a person to throw away things, and there will not be any logical reason for it. Hoarding is an anxiety-based condition where the person has, “persistent difficulty discarding or parting with possessions, regardless of their actual value” and will keep doing so despite any risk or consequence, for example, losing touch with friends and family members due to hoarding behavior, or losing property due to the poor condition of their homes and yards. The person has an irrational fear of parting with this stuff, and will keep it no matter what it is, even if it is garbage, or obviously unsanitary. It is often related to, or coincides with, an obsessive-compulsive disorder, which was likely how the anxiety disorder originated. 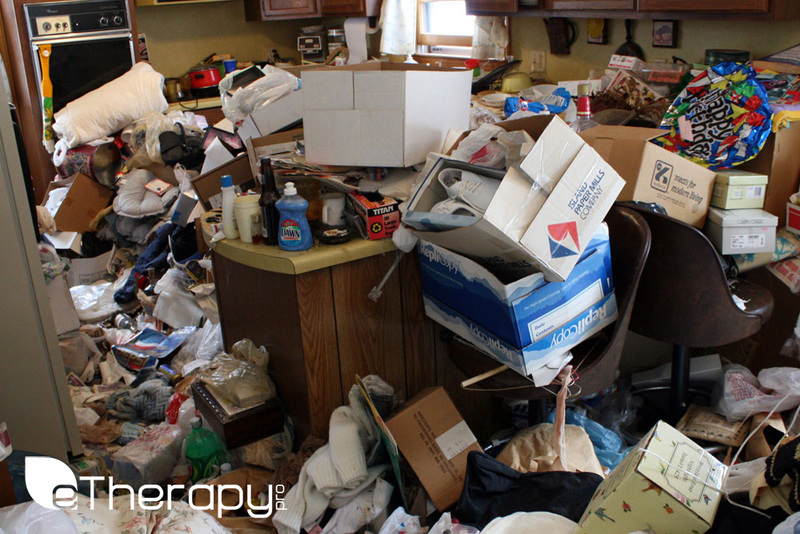 Hoarding is an anxiety based disorder that responds well to treatment. A common issue for people suffering from this disorder is aiding them to see that they need help, and to seek it. Most anxiety-based disorders are treatable, it’s just hard to start the process, as the thing that reduces the anxiety is the hoarding, which is the problem. It may then spiral out of control as the more hoarding eases the anxiety, the more the anxiety is dependent on the hoarding behavior, and the person dependent on it as well. Hoarding can be a sad and dangerous condition. It can break up families, ruin homes and property, and in extreme cases put lives at risk. Help is available and out there. Taking the first step may be the hardest, which is reaching out for help, but with that call comes help and hope. Mental health professionals, such as psychiatrists, psychologists, counselors and therapists are all qualified to treat someone with anxiety disorders, such as hoarding. Talk to an expert today! Start a trial of online counseling.